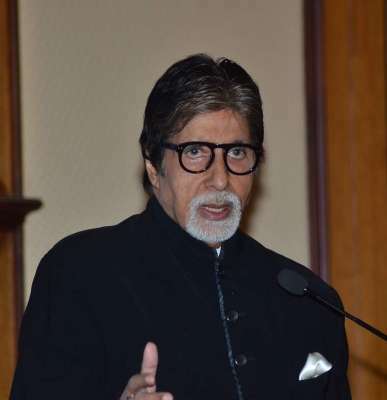 Bachchan congratulates powerlifter Gaurav Sharma New Delhi Aug 29 (IANS) Bollywood megastar Amitabh Bachchan congratulated powerlifter Gaurav Sharma on winning two gold medals at the European Championship. Bachchan met Gaurav on the sets of Kaun Banega Crorepati in Mumbai. He also wished him luck for the upcoming event Mr Olympia 2018 to be held in Las Vegas in September. Gaurav while sharing his experience with Bachchan also gave some health tips to the megastar. "When I met him (Bachchan) I was little nervous but he made me feel comfortable. He is very genuine person so down to earth. I am honoured to meet him. He congratulated me and also wished me luck. I will keep working hard to make our nation proud in international arena " Gaurav told IANS. "He is a sports lover and with curiosity Bachchan asked me about the sport (powerlifting) rules and competition. I also want to thank Bhupinder Sir for helping me make my dream come true." Gaurav is a mahant (priest) in a temple in Chandni Chowk. In 2007 he won four gold medals at the Commonwealth Championship in New Zealand. At the 2016 World Championship he clinched two gold medals in England.